The world of cosmetics is growing quite rapidly and it’s a great opportutity to implement marketing ideas for hair salons. People go to great lengths to improve their physical appearance; they want to look their best. And when we say “people” we refer to both men and women. This is important to point out since one of the growing areas in this sector is the notable increase of business generated by the male population, traditionally less significant in everything pertaining to personal care and beauty products. One fact that confirms this is explained by the American consulting company Allied Market Research. This company confirms in a report how the cosmetics business is going to grow from now until 2020 at a yearly rate of 3.7 percent. What does this increase entail? Allied Market Research states that in three years the business volume can reach more than $265,000, more than 265,000€. Europe seems to be the dominant continent, combining up to 30 percent of the world sales, but the United States stands out with beauty products sold online. Hair salons are the key in this puzzle. E-commerce can compete perfectly with physical stores that sell products like creams, lotions, masks, makeup, etc. but as far as hair treatments and other services go, the reality is quite different. How can the internet compete against these places? Tough, right? These are things that a virtual experience can’t provide. What we can´t avoid today is the amount of competition in the market. There are many beauty salons and companies and they should try to differentiate themselves from the competition. There are proven methods for doing this and we would like to share them with you here. These are marketing ideas that can be executed in practically any type of hair salon, large or small. 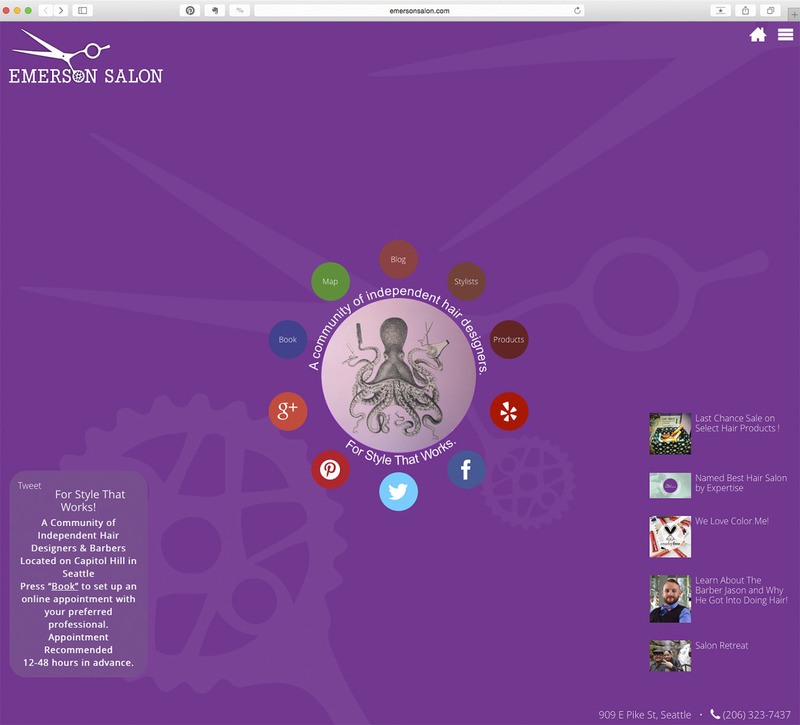 #1 Marketing Idea for Hair Salons – A well-maintained and integral web page must reflect the value of the brand. This can be quite obvious and simple but the reality is that having a good site is obvious but not simple. What are we referring to? You must have an effective web page that has tangible and thorough results, meaning clients, and it´s not that easy. Transmits a modern image, updated, simple but elegant. If you sell personal care and beauty products, your online display window must have these qualities in each and every image pixel. Blogs with suggestions regarding hair care, in-style looks, and analyses of celebrity styles are quite popular these days. A section to inform and bring together Emerson´s team of professionals and stylists as well as an area to recommend products. Social Networks. They are communication channels for current and potential clients. Profiles are updated daily and are quite popular on sites such as Facebook, Twitter or Pinterest. Online Reservations (Essential!). Clients can make appointments quickly and easily through the web with a ‘booking’ section that works perfectly. This is what we mean by a “well-maintained and integral web page.” You can’t just simply be on the web with a page that barely offers information to the potential client. In fact, sometimes it can be counterproductive to “just be there” if you want to reach other targets that can be beneficial to the company. 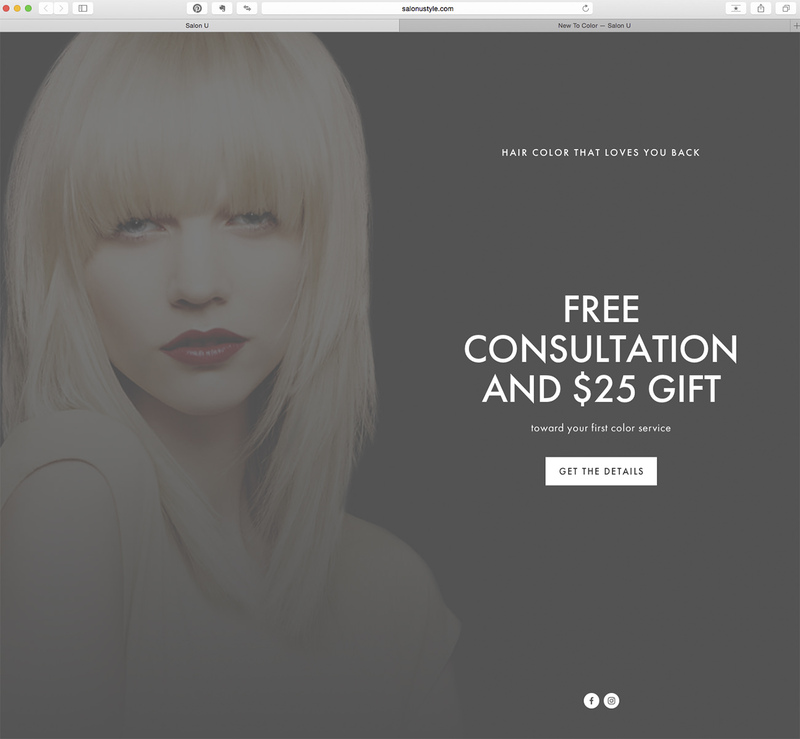 #2 Marketing Idea for Hair Salons – Offers and promotions about your services in order to reach potential consumers. Discounts, savings coupons, 2-for-1 or 3-for-1 promotions (hair cut and free styling, hair color with cut or style, days where prices are lowered). These options all work well. Speaking about bargains and sales gets the attention of your audience immediately in marketing. If you add a specific number like save 25% at our hair salon on Mondays and that day happens to be the lowest turnout of the week, that offer can produce spectacular results. Salon U in Homewood, Alabama, believes and practices this traditional sales technique and gets terrific results. One of their latest claims is the following: “Free consultation and a $25 gift toward your first color service.” This beauty salon has been ranked as one of the Top 100 Hair Salons in America by ELLE Magazine (U.S. edition) for the last several years and is probably due to a mix of elements where the price is probably important. So now you know, there is nothing better than to use certain words that get the attention of users during their buying decisions. As you create advertising messages for communication media, at the sales point or on your web and on social networks keep this in mind. Success is guaranteed! #3 Marketing Idea for Hair Salons – Maximum Specialization: Narrow down your target and multiply the number of clients. To count on a specific market niche is one of the best strategies to be successful in business. The hair salon world is perfect for this type of practice since the trend is rising each and every day. This area traditionally used to separate services by gender but slowly they are refining this to those who only work with kids, those who bet on wedding styles, and even those salons who know what types of haircuts are more flattering. There are interesting and successful proposals such as More Than Curly Salon, guess what these professionals do? 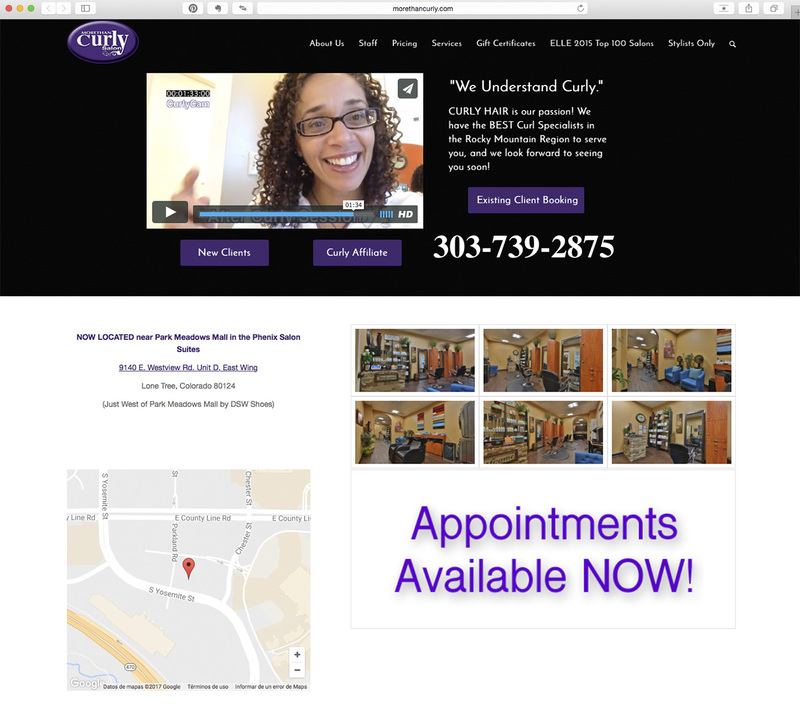 This salon in Aurora, belonging to Arapahoe County in the state of Colorado, claims their preference when they comb and take care of their client´s hair: “Curly Hair is our passion! We have the BEST Curl Specialists in the Rocky Mountain Region!” They have created a niche and also appear in the Top 100 Salons of Elle Magazine. This specialization is shown with photographs and videos as efficiently as possible. The topic of personal care and beauty has more value than ever with the slogan ‘an image is worth more than a thousand words’. When you access their web or social networks, you can see real life cases of clients who have placed themselves in the hands of the salon’s staff and are shown to be extremely satisfied. Pictures of the facility are shown as well as a section to easily make an appointment: both by phone or online reservations. The web is probably not as stylish as the one we saw previously, but it´s very effective. #4 Marketing Idea for Hair Salons – An “all in one” hair salon: more complementary services for specialty global offers. 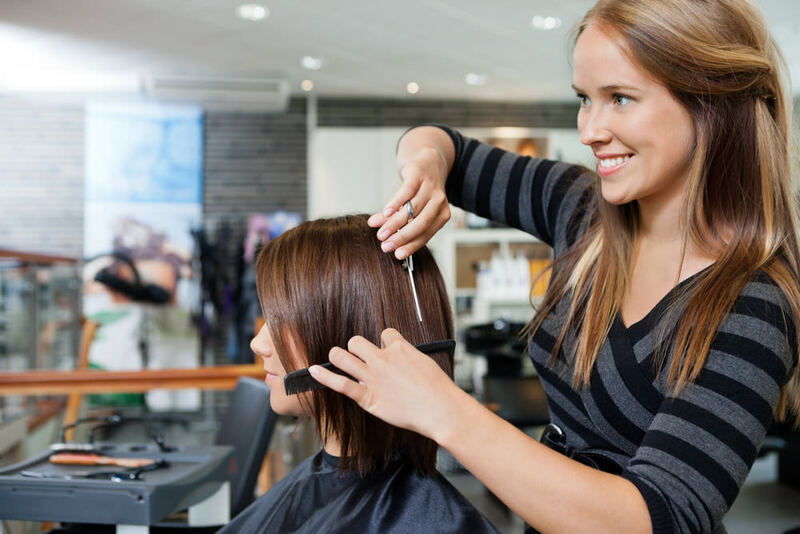 Businesses that focus on beauty hair treatments could be leaving aside the possibility to expand income sources by offering other services in the salons. Today, when we mention personal care we can be referring to your hair, how you take care of it, how it ages, as well as body and facial treatments. That is what we mean by “all in one;” offering clients as many beauty options as possible under one roof. Everything can be found in one place with specialized professionals in each area. Those small to medium sized companies who believe they can’t expand their services should consider working with external partners and/or freelancers who can visit the premises one or two times a week, depending on the needs of clients in order to perform manicures, massages, or any other types of beauty services clients value. You can slowly assess what is profitable, but your company will probably gain a lot from all this, both by work volume as well as by the image of the brand. Your clients can view you as an integral beauty salon and you can offer these services gradually until you can hire individuals on a permanent basis resulting in profits. The Beauty Room, in Minneapolis (U.S.A.), stands out in this respect because they use their own hair salon services (haircuts, color, specific hair treatments) as well as skin and body treatments (facials and body massages, manicures, pedicures, and reflexology). They offer special prices to customers so they can visit the hair salon for a special occasion hairstyle, decide to have their makeup done, and later end up requesting an appointment for a facial. All the professionals, as well as the cost of each service, are available on the website and clients can get information about their products. #5 Marketing Idea for Hair Salons – Bursting image: The design and look gets the attention of those passing by. And, of course, you get clients! In this area we must say that the same thing happens as in the first point: If the website is about a beauty service, the first thing you must do is offer a corporate image in line with your services. There are many hair salons out there, so you must try to stand out from the rest of the competition. One of the easiest and most efficient ways to do this is with the interior design and decor of your salon. You must adapt this to your client´s profile. For example, if you are dealing with older individuals you want to create an atmosphere that will make them feel comfortable and for younger customers, add color that transmits vitality. And then there are completely different places such as Bird’s Barber Shop, in Austin (Texas). This is a chain of eight hair salons in Austin and one in Houston. All of them are cutting-edge locations with a pop style. They stand out by showcasing everything that happens in their establishment, so the front of their salons are made out of glass and the interior features the colors that are in style today perfectly. This location has style, knows the profession perfectly, and the web depicts this look as well. 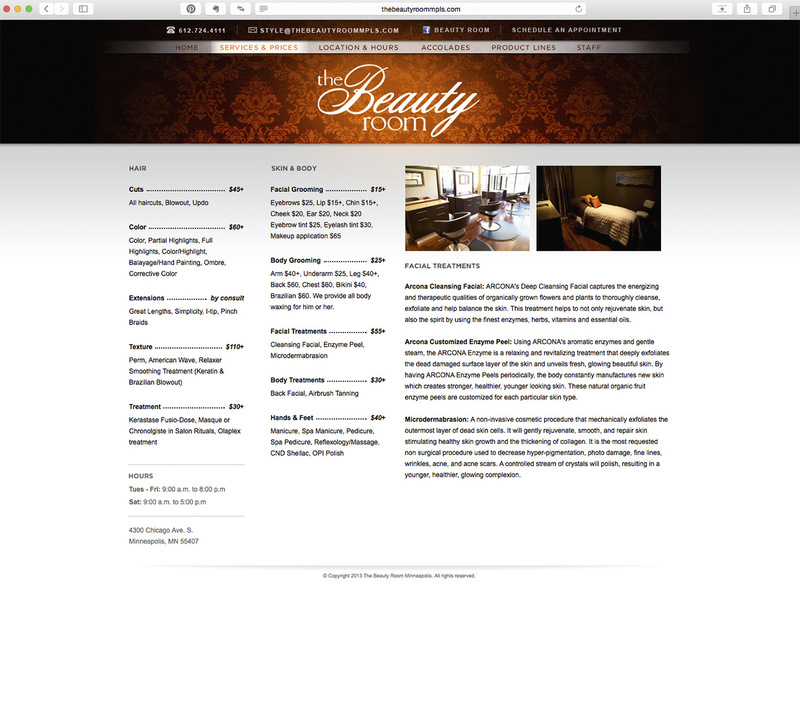 This salon has an open feel to it, inviting all types of customers and they use this idea on their website as well. They are also transparent by showing their prices of all their services. Take good care of the corporate image of the business. If you have a beauty salon business you must set an example. The salon must have good taste and knowledge in this arena and in all other aspects of the business. Online presence must have a foundation. Meaning that everything on your website must be there for a reason. You must know how to be present on the internet and on social networks. Create an effective webpage, provide users with quality content, and offer suggestions by adding value to your offline services. The service you offer your clients at the salon must be worth it as well as having them follow you on social media. If you want to know more about social media strategy, you can also take a look at our previous post, 5 Social Media Strategies for Small Business in 2017. Sales and promotions are a win-win for all. They help spread the word so more customers try your services. Specialization is an effective answer. There is nothing like taking advantage of your target as much as possible so you become their best option among the competition. Those who open themselves up to all types of individuals and services risk doing too many things and few of them correctly. Try to find excellence in all that you do. Complementary lines of business. Clients appreciate having several beauty services available in one location. So surround yourself with the best professionals or you might make the mistake we pointed out previously. Previous articleHow Can You Use Twitter for Business?